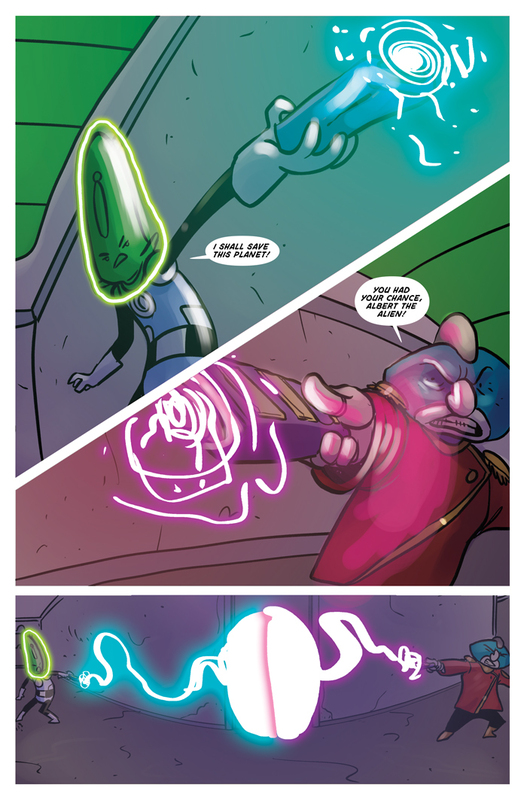 Albert and Splurr begin their final battle – THE final battle! Can Albert overcome his once-friend, now enemy, and save our planet? Only 3 more pages in this chapter, and then we enter into the final chapter of ALBERT THE ALIEN: SPACE BULLIES FROM MARS!